The post Home Treatment for a Dog Abscess — If It’s a Visible Skin Abscess by Kelly Pulley appeared first on Dogster. Copying over entire articles infringes on copyright laws. You may not be aware of it, but all of these articles were assigned, contracted and paid for, so they aren’t considered public domain. However, we appreciate that you like the article and would love it if you continued sharing just the first paragraph of an article, then linking out to the rest of the piece on Dogster.com. When my Pit Bull Hudson developed an abscess, I didn’t really know what it was. The only kind of “abscess” I’d heard of was the one in my mom’s tooth. So, on the sudden discovery of the swelling in Huddie’s left front leg from shoulder to paw, I frantically jumped online to do research about how to treat a dog abscess at home before heading to the vet. I’ve found that you can often get quicker results with medical issues by searching by image. And there they were — pictures of mostly ruptured dog abscesses, which could make the strongest stomach turn. First, what is a dog abscess? Yikes! What exactly is a dog abscess? Photography © JZHunt | Thinkstock. 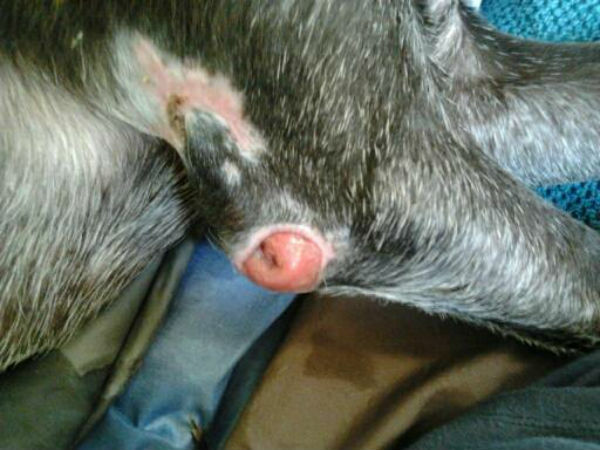 An abscess is a collection of pus that occurs anywhere on your dog’s body. Causes of a dog abscess include parasites, bites and bacteria. It’s actually protecting the body by localizing an infection. White blood cells move into the area and collect in the tissue. You’ll usually see a swelling under the skin; if an abscess has formed on top of the skin or the skin has broken away, you would likely see a red, raised bump. And remember, a dog abscess is squishy and warm. A dog abscess can be painful, so your dog will let you know — but if you have a dog who is pain-tolerant, such as my Hudson, that may not be a good clue. Does a dog abscess need to be treated by a vet or other professional? Talk to your vet to determine whether the abscess can be drained and treated at home or needs to be done at the office. The vet will probably still need to see your dog’s abscess and do some tests so he knows what antibiotics to give your dog and discover what is causing the infection. Your dog will need professional treatment if you are not able to be very diligent about keeping things sterile and sanitary, or if it is very large and you cannot drain the abscess on your own. In this case, your vet will make an incision. Surgery may be necessary. Even if your vet says you can treat the dog abscess at home, it’s best to have your veterinarian show you how to treat it first before you do it at home by yourself. When your dog has a visible skin abscess, it’s always good to have a complete blood test run. Sometimes samples of the pus will need to be taken to evaluate its cause. Internal abscesses must only be treated by your doctor. Close up of a dog abscess. Photography by Kelly Pulley. Home treatment for a dog abscess is likely okay if you are obsessive about making everything sanitary and sterile. Make sure you remember to flush the abscess and apply a wound cream several times a day. Also note that you are not likely to get sick treating the abscess because of the way it looks, feels and smells. Really! We’re talkin’ Essence de Dog Pus here! Often, skin and fur will fall off at first, too, so be sure you can handle that. Your dog can be easily treated by you if, for example, he’ll let you flush the abscess with saline and stick your finger waaaaaay up into the pocket of the abscess to apply ointment. Alcohol. To sterilize your hands whenever you are going to touch the abscess or anything or any area that comes in contact with the abscess’ excretions. Sterile saline solution. To rinse all those pockets of the abscess. Wound ointment. My vet gave me an all-natural foam; yours may have a different solution. It also must be sterile. Keep it centered. You may or may not see an accumulation of pus in the center of a pocket. If so, be sure to remove all of this. Clean like a crazy person. A dog abscess should NOT be covered. It has to heal in the same way as a puncture wound, from the inside out. That means as pus continues to emit from the wound, you’ll have to clean up constantly at first. Follow your vet’s instructions. My vet told me to rinse the dog abscess twice a day, apply the wound foam once to twice a day, and to make sure Hudson took all of the antibiotic. Despite all the attention it needs, try not to obsess on the abscess. It takes a long time for a dog abscess to heal. It’s been a month since I started treating Hudson’s and it’s still got a way to go. You will get to know this abscess intimately. And don’t let the extreme grossness and shocking nakedness of a dog abscess deter you from treating it at home. Think of it as another opportunity to bond with your dog. 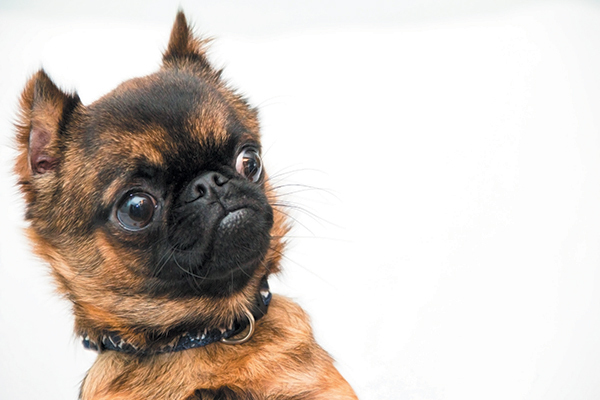 Tell us: Has your dog ever had an abscess? Did you treat your dog’s abscess at home or at the vet? Let us know in the comments!